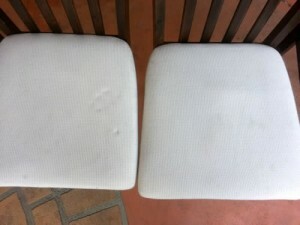 Do you overlook your upholstered furniture when it comes to cleaning? Many home owners may do an occasional vacuum, while many may not even think of it. We recommend an upholstery clean each year- perhaps at the same time you get your carpets cleaned. 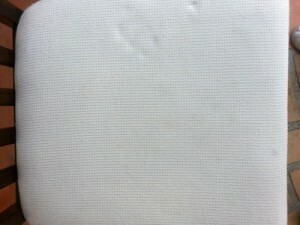 Upholstery gets a hard life with normal daily use upholstery can be harbouring skin oil, food, stains, pet hair, dust mites, bacteria, fungus and even chemical residue. Our clients are often amazed at the results we can achieve. 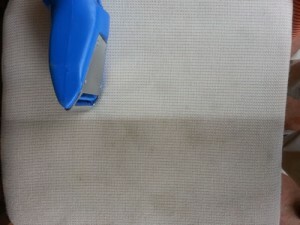 Stains that many thought permanent have been removed with our professional expertise and equipment. Take a look at the images below badly stained chairs restored with a great result and a happy client. 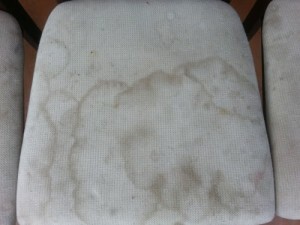 Northside of Brisbane Upholstery Cleaning Stain Removal – cleans start from $89.00 for a two seater lounge. Badly stained and marked upholstery prior to cleaning. What a contrast – awful staining and water marks being removed. Almost done – We love it when a client is as happy as this one was. The Results can be truly amazing. Talk to me about your trouble areas.